This week the theme was Pocket Money! For the more occassional toy based treat we’ve uncovered some really collectable bits which you can have just one of but add to your collection with extras and playsets as your birthday and Santa time comes around. The cutest toy we’ve seen for a while are these colourful Zoobles – there are over 150 in the range and they each come from distant lands such as Seagonia or Chillville and more besides. When you play with them, place them on their special dwelling place called a Happytat and they “Spring to Life” that is they pop open to reveal extra features. 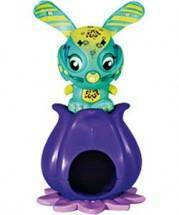 Larger playsets for more than one Zooble to inhabit are available and there are many exciting additions to come. 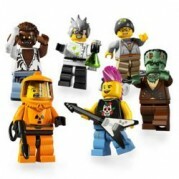 The latest line-up in the minifigures series four see’s another 16 characters arrive, including Arist, Crazy Scientist, Lawn Gnome, Viking and Werewolf. They make great additions to your Lego Playsets. We particularly enjoyed taking our Werewolf on our LEGO Shuttle and putting the Lawn Gnome in our Police station prision for fishing without a permit. If you’re in your pre-teens, the chances are you’ve already discovered the exciting online world of Moshi Monsters and you know everything there is to know about Moshlings – but for all the grown-ups out there (or at least those of us shaped like grown-ups) we’ll explain. 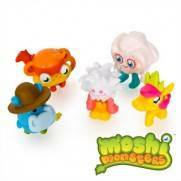 Moshi Monsters is a hugely popular online social network, created entirely for kids. In the virtual world of Monstro City, children can adopt and care for their own Moshi Monster and interact with their real-world friends. But better still, through tasks, puzzles and games their Moshi Monsters can collect pets of their own in the form of Moshling, and these are they for you to collect and own in 3D. 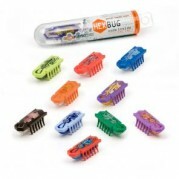 These are truly nutty robotic creatures – turn them on and watch them scurry around at scaled down breakneck speeds with the vibrations produced by the battery sending their little legs into a frenzy. When they come across a solid object they’ll simply bounce of and carry on in another randomly selected direction, if they fall from a height they’ll right themselves and carry on, making them fun to watch! You can even pit them against each other!